Marketing quotes play a key role in ensuring that marketers are sufficiently motivated to keep pushing the limits. Importantly, customers, salespeople, and marketers all need to have a driving force that propels them forward to close a sale. In contemporary times, Steve Jobs’ marketing quotes are all the rage. While his life has been celebrated by many posthumously, he was regarded as someone worth reckoning long before the credits. Having steered Apple towards its success in present-day society, he had a plethora of quotable marketing quotes that could do the world of good to marketers all around the world. 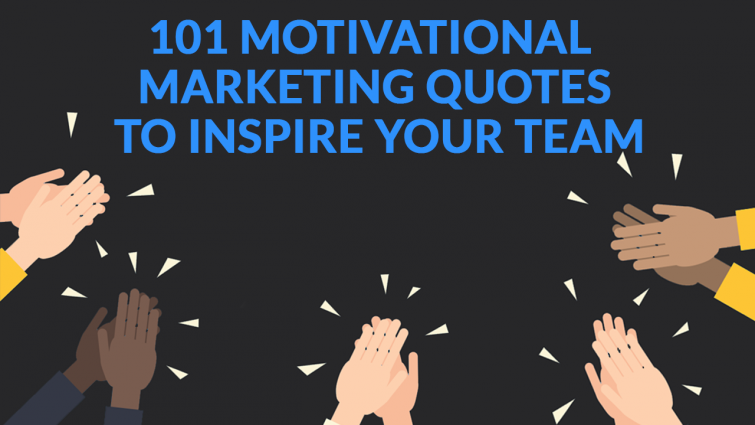 Jobs famously quipped, “Marketing is about values. It’s a complicated and noisy world, and we’re not going to get a chance to get people to remember much about us. No company is. So, we have to be really clear about what we want them to know about us.” This particular quote rings true especially when one considers the current marketing climate. More than ever, companies are playing by a code of ethic. Social media has leveled the playing field, small companies now have just as much chance as the large corporations if they employ smart marketing policies.